Happy Monday! 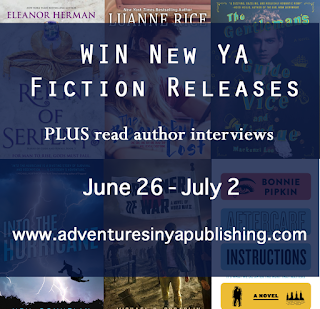 This week we have a few giveaways up for grabs including some swag packs for REIGN OF SERPENTS and 10 copies of INTO THE HURRICANE (*gasp*). 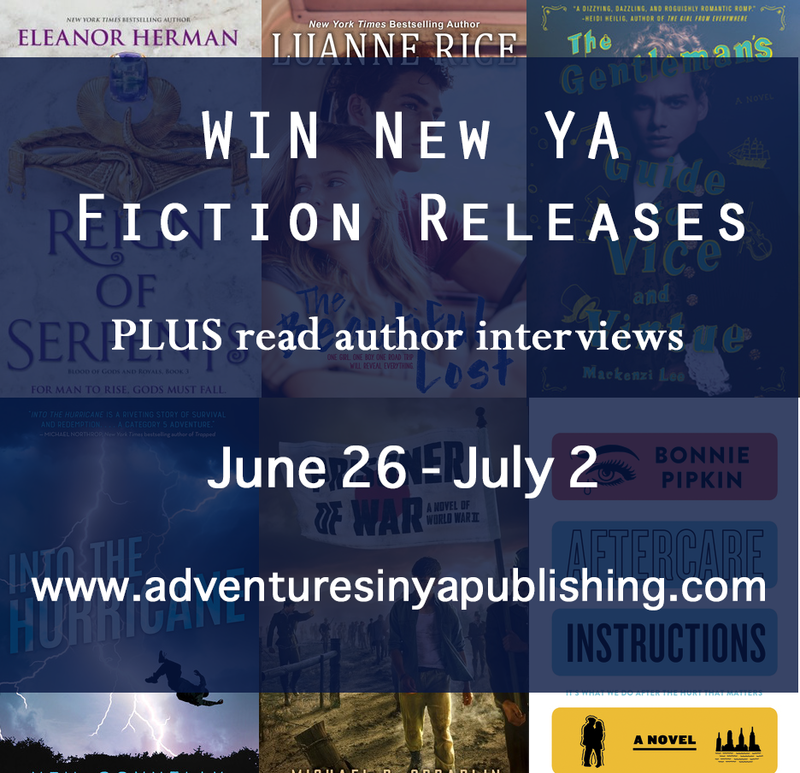 So make sure to enter below and check out all the awesome books being released this week! The fierce Cynane meets her match-not in her future husband, the deranged king of Illyria, but in her great-great-grandfather, Talus, possessor of Smoke Blood, who will teach her the true meaning of betrayal. And marooned together on an island in the Mediterranean, romantic tension blooms between Katerina and Hephaestion as they learn of lost civilizations and discover a device that could help them do the impossible: kill the last living god. 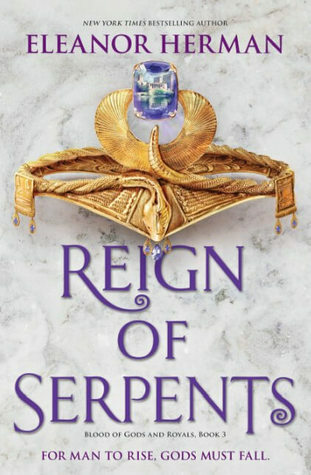 Author Question: What is your favorite thing about Reign of Serpents? I love how much the characters grow up in this book! In retrospect, they seem so young and innocent in the first book, LEGACY OF KINGS. They have growing pains in the second one, EMPIRE OF DUST, and now, just a few months after Legacy began, in REIGN OF SERPENTS the characters are fiercely powerful adults who have learned to accept themselves as they are. I also love writing battle scenes, and since this book didn’t call for one, I wrote an ancient Greek food fight at a royal wedding! 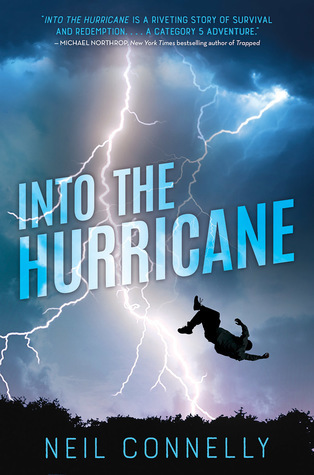 Author Question: What is your favorite thing about Into the Hurricane? Though I was born in Pennsylvania, my education brought me to Louisiana, where INTO THE HURRICANE is set. During my years there, I discovered many delights—music, festivals, and food like no northerner can imagine. My favorite dish was gumbo, a spicy mix of sausage and chicken and rice (some folks add shrimp or okra too). One thing I’m pleased with in HURRICANE is its gumbo-ness. 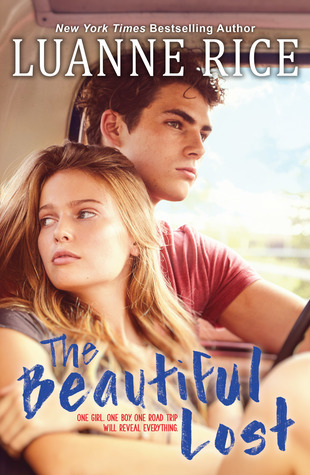 There are a lot of elements—two main characters who don’t get along, a cultish family of religious extremists, and of course the natural landscape of the gulf coast. Along the way, the story touches on themes of loss, guilt, redemption, and second chances, but it never gets “idea heavy” because so much is happening in the action-packed plot. Eli and Max constantly face threats posed by wild animals, gun-toting fanatics, and of course the eponymous storm itself. When I think about it, there’s just a whole lot that went into this recipe, and I like how it all blends together. 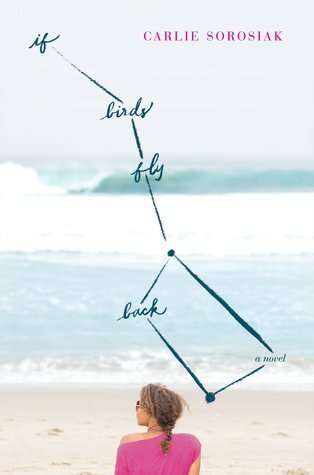 Author Question: What is your favorite thing about The Beautiful Lost? I love Maia. She has been calling to me for a long time. She told me her story through feelings, not thoughts or words. She spoke to me through her skin. We have a lot in common. Like her, I was seriously depressed as a teen, and I feel very grateful that she presented herself and gave me this chance to delve into that dark sorcery. That’s how it felt to me—a spell I couldn’t break. 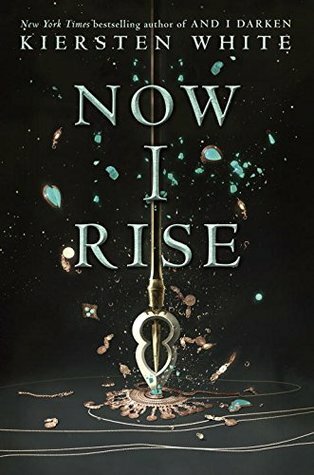 Writing about Maia was a different kind of magic; helping a character find her own power helps the writer find hers. 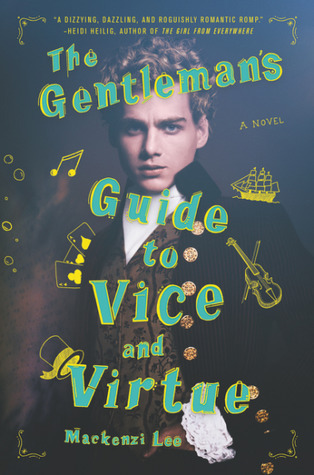 Such a Good Girl by Amanda K. Morgan: Teresa D.
Pawns by Willo Davis Roberts: Michelle P.
Author Question: What is your favorite thing about The Gentleman's Guide to Vice and Virtue? My favorite thing about the book is the voice of the narrator, Monty. I've never had a character's voice come to me so effortlessly and fully formed from the first page, and the book really started with his voice. Monty was such a strongwilled, loudmouthed character from the very start, and writing both his antics and his voice is one of the most fun things I've ever had the chance to do as a writer. 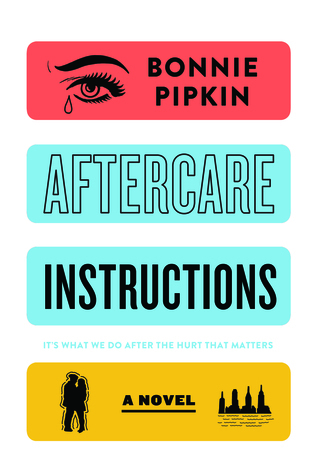 In the tradition of Jandy Nelson and Rainbow Rowell, a big-hearted journey of furious friendship, crazy love, and unexpected hope after a teen's decision to end an unwanted pregnancy. As Gen pushes herself forward to find her new identity without Peter, she must also confront her most painful memories. Through the lens of an ongoing four-act play within the novel, the fantasy of their undying love unravels line by line, scene by scene. Digging deeper into her past while exploring the underground theater world of New York City, she rediscovers a long-forgotten dream. But it’s when Gen lets go of her history, the one she thinks she knows, that she’s finally able to embrace the complicated, chaotic true story of her life, and take center stage. It starts like any other day for Jess. Get up, draw on eyeliner, cover up tattoos, and head to school. But soon it's clear that this is no ordinary day, because Jess's best friend, Eden, isn't at school . . . she's gone missing. 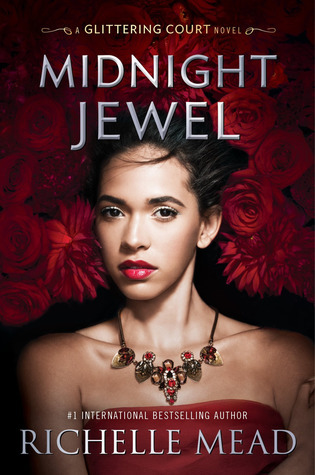 Jess knows she must do everything in her power to find Eden. Before the unthinkable happens. 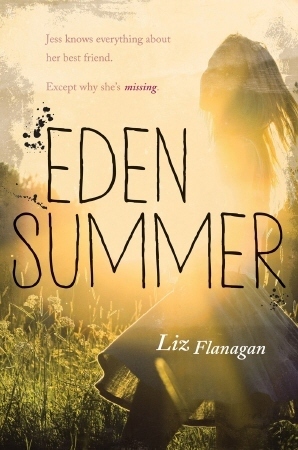 So Jess decides to retrace the life-changing summer she and Eden have just spent together. 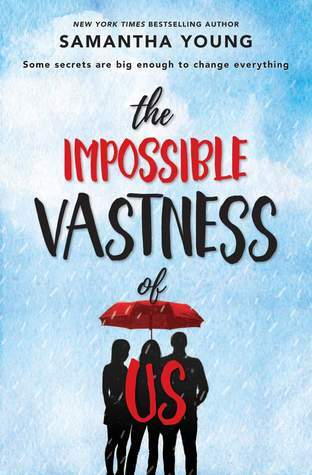 But looking back means digging up all their buried secrets, and she soon begins to question everything she thought the summer had been about, and everything she thought she knew about her best friend . . . Some new books for my TBR--thanks for the heads up! Always exciting to see new releases! I'm particularly looking forward to "The Gentleman's Guide To Vice and Virtue"! The Beautiful Lost sounds amazing. The cover is great. Thanks for the post. So many books I just added to my tbr. 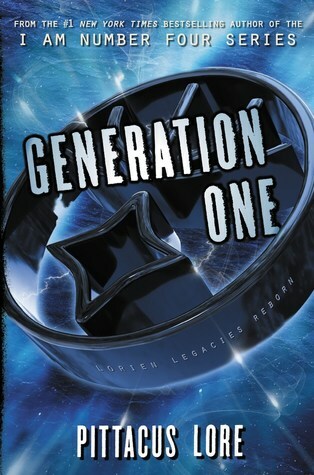 I also had no idea there was going to be another Lorien book, I'm so excited! 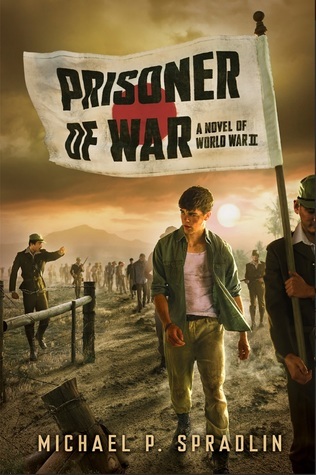 Several of these books look really good! Oooh so many good books coming out this week!